Your target won't know what hit him with the Spring Spec Ops AK-47 Sniper Rifle. 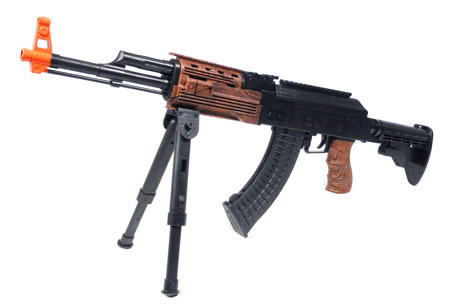 The Spring Spec Ops AK-47 Sniper Rifle features an adjustable bipod so you can prop your gun up to get the perfect shot. It also comes with a detachable faux scope so you see where you are aiming. Get the Spring Spec Ops AK-47 Sniper Rifle and Snipe away!